At Montane Dental Care, positive patient experiences are our passion. We focus on developing lifelong relationships, providing a premium standard of care and maintaining an unwavering commitment to excellence. Fondly referred to as “No-Pain Montane” by his patients, experienced dentist Dr. Jorge Montane works hard to ensure that every visit to our office is unmatched in comfort and satisfaction. To schedule an appointment or learn more about the services offered at Montane Dental Care, please call 510-795-0444 today. We welcome patients from Fremont, Newark, Union City and neighboring communities. As a child in Cuba, Dr. Montane would frequently visit his uncle’s dental practice and admire the bonds his uncle developed with members of the community and the positive impact he made in the lives of his patients. It was during these early years that Dr. Montane developed the passion for dentistry that would follow him the rest of his life. After moving to America with his family, he worked diligently toward becoming a dentist. Every academic decision was made to propel him in the direction of his dream. After earning his doctorate of Dental Surgery from the Medical College of Virginia, he began practicing in 1983, and opened his own practice in 1985. 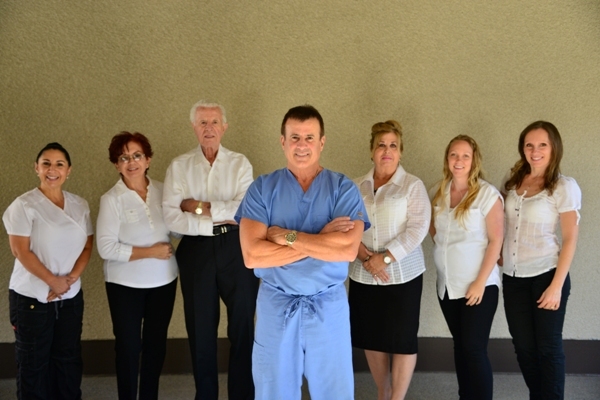 The team at Montane Dental Care is more than just a collection of dental professionals working in the same office. We are a close-knit family. In fact, Dr. Montane’s father, who is now in his 90s, has been a beloved fixture in the practice for many years, helping with clerical work and adding to our office’s feeling of home. This warm atmosphere extends to our patients, who we treat like members of our family, with respect, honesty and compassion. We pride ourselves on being more than just another dental office; we are a dental home. We firmly believe that a visit to the dentist should never be a cold, clinical experience. When you visit our practice, you will feel valued and welcome. Dr. Montane serves patients of all ages, from toddlers to seniors. He understands that children require a gentle, personable approach. While many dentists may be technically qualified to treat children, not enough are focused on making sure every experience is a positive one that will be remembered fondly for decades to come. Dr. Montane understands how important these early interactions are and makes an extra effort to ensure your child has a rewarding experience. We are proud to call the richly diverse community of Fremont our home. At Montane Dental Care, we don’t just work in a culturally-diverse community; we celebrate it. Having moved from Cuba as a Spanish-speaking child, Dr. Montane understands firsthand how important it is to be accepted and understood. We are proud to be a Spanish-speaking dental office. Providing exceptional dental services requires the ability to communicate clearly with our patients about everything from procedures and options to calendars and financing. Dental emergencies can occur at any time. If you develop an abscess, knock out a tooth or suffer some other pressing issue that requires emergency dental care, we take calls all day, every day. If it is a genuine emergency, we will do everything we can to get you into the office as quickly as possible. If you are experiencing a medical emergency, you should visit the emergency room immediately. If you are ready to book an appointment or schedule a free consultation to discuss any of our cosmetic dentistry services, please contact Montane Dental Care today at 510-795-0444. Dr. Montane proudly serves patients from Fremont, Newark, Union City and surrounding communities in California.